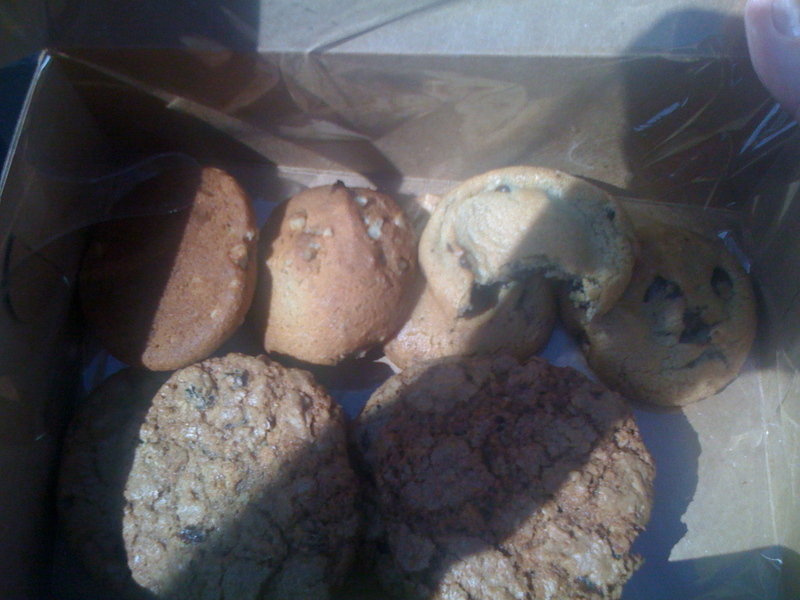 Got a dozen cookies from Anthony’s on Valencia (between 25th and 26th) on their second day. I hearby proclaim Anthony’s cookies the best in La Lengua, and perhaps in the Mission. Anthony is cool, and so is his assistant. They are in the soft-opening stage, so don’t be surprised by the focus on cookies vs stuff on the walls, etc. Cash only right now. The cookies in their lovely white box barely made it out of the store — here are the 6.8 survivors. Before this picture was taken, there was an upper layer of half a dozen chocolate chip cookies, so you can guess they were rather tasty. The toffee was epic, and as far as the cookies and cream, well I must say I will be ordering more of those next time around. 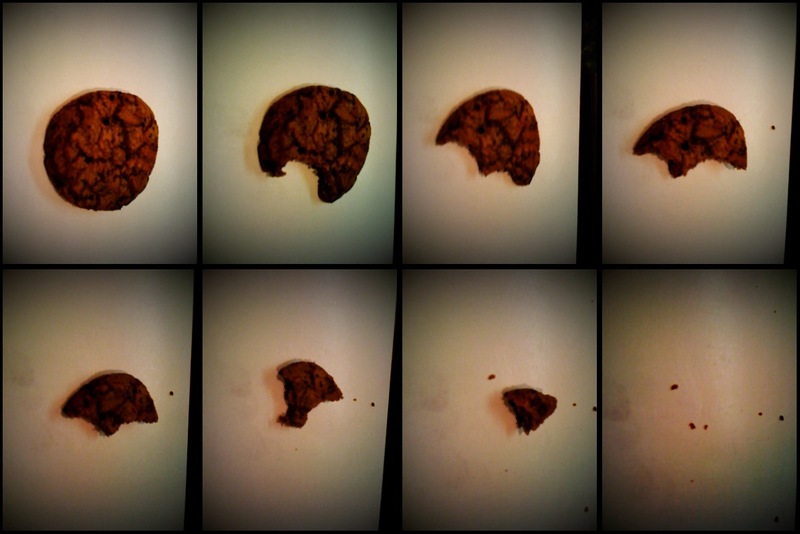 High-speed 16-bit photography reveals the completely passive nature of the cookie while under attack. The Institute encourages further scientific research by the public on this topic in the cookies’ native habitat on Valencia. I just went here. Anthony was super nice and the cookies are absolutely delicious. It made his day when I told him I was there on a recommendation. It is both awesome and dangerous that this place only a half block east of my apartment.